A fascinating experience. And free! 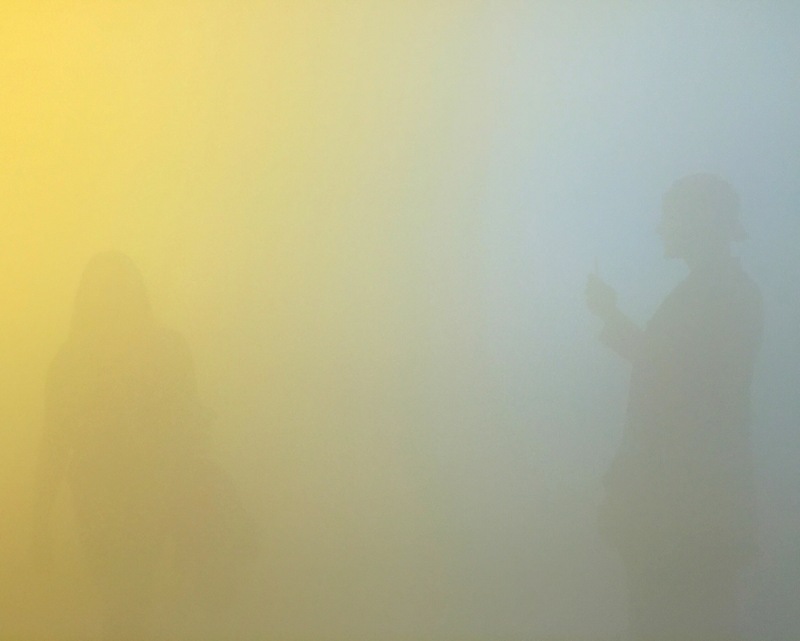 Yellowbluepink is at the Wellcome Collection, by Euston station, until 3rd January 2016. This sounds very interesting, I would be interested in the observation of reactive consciousness, simply because when we step into the unknown and in this environment where most of what is around you can’t be seen is therefor Unknown the body and mind become reactive, the other senses should naturally heighten and it’s at this point it becomes interesting because in a heightened sensory state our reactive state also increases, this is not necessarily a positive outcome because the reaction can be generated from fear rather than actual feedback from the environment. I believe that as we step deeper into these experiences we almost learn another language a greater understanding of our internal communication, once this phase is reached then the expression of the reaction will change. Yes this is completely true! In this case it was a positive sensation, I wasn’t filled with fear because I knew it was a safe environment, there is a lot of artistic explanation outside/before you go in, and I was with a friend and other strangers who were sharing the same experience. The lighting is bright and has a really positive energy. The most tangible difference in the way that I felt and was experiencing my surroundings was that I was a lot more tentative. Instead of striding around purposefully as we do in the real world, we were taking pigeon steps and ready to touch noses with a wall at any moment. Also because you can’t distinguish floor, wall or ceiling, it has a slight unbalancing sensation, but in quite a positive, floaty kind of way. I think that if I was in similar conditions on my own, in the dark and not in a well-known, publicly accessible building then these same physical sensations would have felt quite different and alarming in a negative way! Very interesting, i made my common error of assumption, oops, I immediately associated the experience you had with when I experienced a white out whilst snowboarding on numerous occasions, those experiences were nerving and fearful and yet you had to trust the black poles because that’s all you could see to get you down the mountain. I like your observation that due to the introduction you received your experience turned out to be positive, which is great, we all gain confidence when reassured about the experience we are having or about to embark upon.